Home / All About Dental Disorders / What Causes Bleeding Gums? When you are brushing your teeth and see a telltale pink or small amount of blood coming from the gums, there are a number of things that it could mean, and it is absolutely not an issue that should be ignored. There are many things that this could mean, and in many instances, gum disease is the underlying problem. 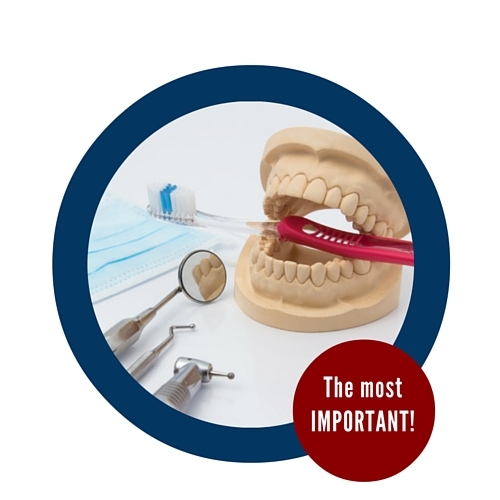 When people begin to be concerned about dental issues, they sometimes brush as vigorously and quickly as they can, thinking that not using a circular motion and not taking the time to be gentle will help in their quest to keep teeth healthy. One of the traits that gum disease is known for is that it is not always painful, and when someone performing their daily brushing sees a bit of blood, they may be surprised. The sign of blood is usually the one of the telltale signals that there may be a more serious problems with your gums, and switching to a lighter toothbrush to ease the friction may help a bit at first. 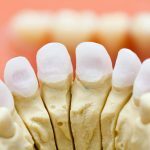 A study titled “Prevalence of Periodontitis in Adults in the United States” shows us here that over half of adults in the US have periodontitis, from a sample taken of adults 30 yrs of age and older. Having a higher intake of healthy vegetables, vitamin C, and better dental hygiene can definitely slow down the effects of this disease that ails so many. 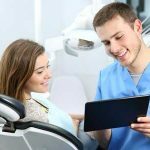 No matter what you encounter and how severe it may seem, don’t be the only judge of the problem and try to diagnose it yourself: only a practicing dentist can truly tell you what is the problem and how to correct it. There could be instances in which you feel that you are certain you have gum disease, and any one of the aforementioned factors combined with other elements may be the true reason that you are experiencing bleeding or discomfort. This brochure from the National Institute of Dental and Craniofacial Research highlights some of the causes, symptoms, and treatments of gum disease. 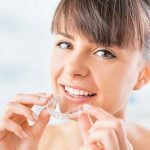 When your gums appear to be bleeding, you cannot always assume that it is full blown gum disease, but in some cases, you may be obligated to think about how you may treat the problem if that is in fact what is happening. Here are some of the ways that gum disease is treated, with the function of controlling the infection being the most important. 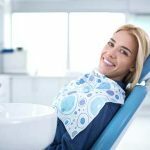 • Deep Cleaning: Dental Professionals can remove the plaque that ails you through scaling and root planning. During scaling, the tartar is simply scraped from above and below the affected line. During the root planning process, spots where germs congregate by the root of the tooth are battled, and a laser may be incorporated to remove both plaque and tartar. • Medications: Depending on how far the disease has progressed, medications may be used to help with gum infection and bleeding. these can range from antimicrobial mouthrinse, Enzyme suppressants, or even antiseptic chips. The chips consist of tiny pieces of gelatin filled with medicine that controls the spread of bacteria, and reduces the size of periodontal pockets. Sometimes oral antibiotics are used to provide a short term treatment of a periodontal infection that is dangerous or persistent. • Surgical Treatments: In some instances, all out surgery may be required to make sure that the discomfort and problems do not persist within the realm of gum disease. Sometimes very deep pockets that remain will require surgery procedures to assure that the problems don’t persist, and that the longevity and health of the patient remains intact. Here are two of the kinds of surgery that have proven effective within this realm. • Flap Surgery: During this procedure, the gums are lifted back, and the tartar is removed. Then the gums are sutured back into their appropriate place so the tissue around the tooth fits tightly for the future. Even after successful flap surgeries, the teeth may appear a bit longer. • Bone or Tissue Grafts: During this procedure, a synthetic bone is placed in the area that has seen the most intense loss, and it may accompany a method called tissue regeneration. during this procedure, there is a small piece of mesh like material that is inserted between the gum tissue and the bone. It then keeps the gum tissue from growing into the area where the bones belong, allowing new growth for the bone and connecting tissue. There are many things you can do to ease the potential for your gums to bleed. Sometimes when it happens to children, the problem may not be as serious, but it has been proven that controlling gum disease can absolutely save your teeth. Treating it can also prevent other serious conditions from developing: here are some tips to keep this condition at bay. • You can use irrigation devices to clear debris from under the gum line. • If you have dentures, make sure they are properly aligned. • Keep in mind that smoking is one of the main toxins that cause bleeding gums. • Brush in circular motions instead of back and forth. • Avoid mouthwashes with alcohol, and keep the mouth clean with peroxide rinses. • Watch your sugar intake: this is the number one cause of high plaque levels.